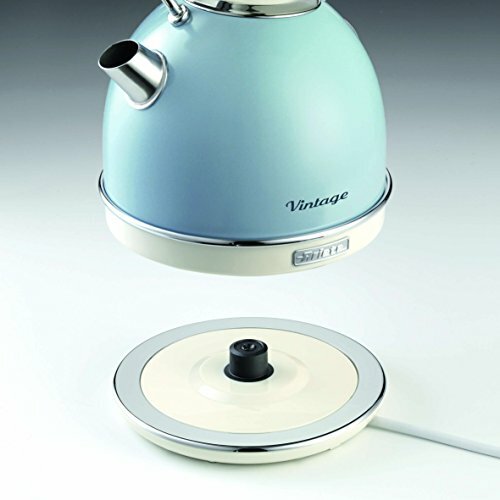 The Ariete duck egg blue kettle is a lovely pale blue kettle with a vintage look. The cream and chrome accents on this baby blue dome kettle really add to the beautiful design and overall style of the kettle. The large 1.7 litre capacity of the electric dome kettle makes it ideal for a family sized home. It also allows you to boil a maximum of 7 cups of water per use, a real benefit considering many kettles often are only able to make 6 at a time. 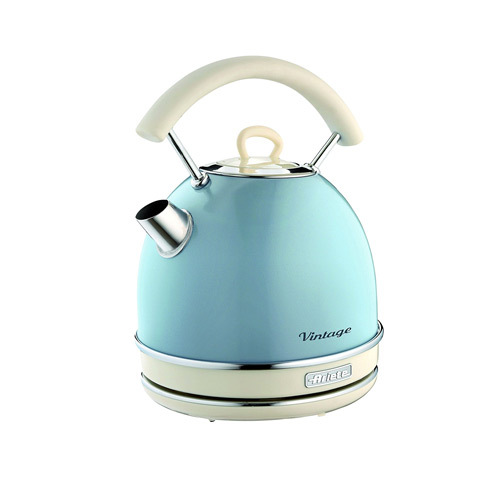 With 2000 Watts of power this isn’t the fastest kettle when it comes to boiling, however it remains a lovely option for those who like to take their time. Other features of this good looking dome kettle include the 360 degree rotating base which makes it suitable for left and right handed use. The removable limescale filter ensures that your drinks will remain free from bits and the filter can be cleaned easily on a regular basis. 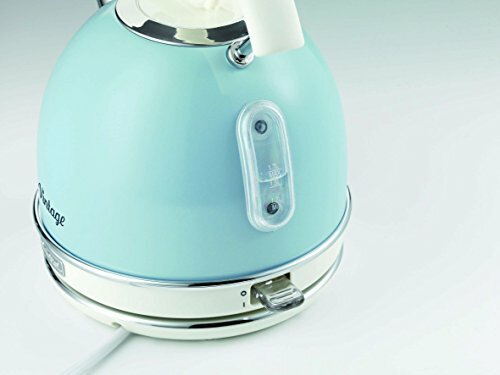 The dome shaped design of the pastel blue kettle makes it easy to wipe down and keep in good condition. 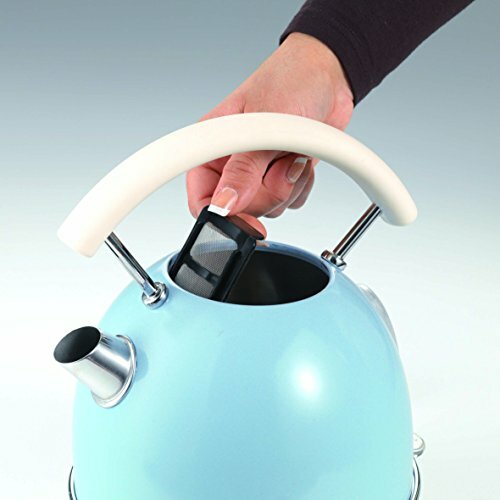 The easy to read water level indicator and the easy to hold handle also make this a highly accessible kettle for all. If you love all things retro in your kitchen then this is a good looking and functional kettle that is sure to delight.